The harmonious balance of juxtaposing one badass truck with the relentlessly beautiful playground in a riveting, and even sometimes comical, journey. The All Mountain Sierra becomes a bold character itself as it joyfully eats up Whistler Mountain in its backyard playground. 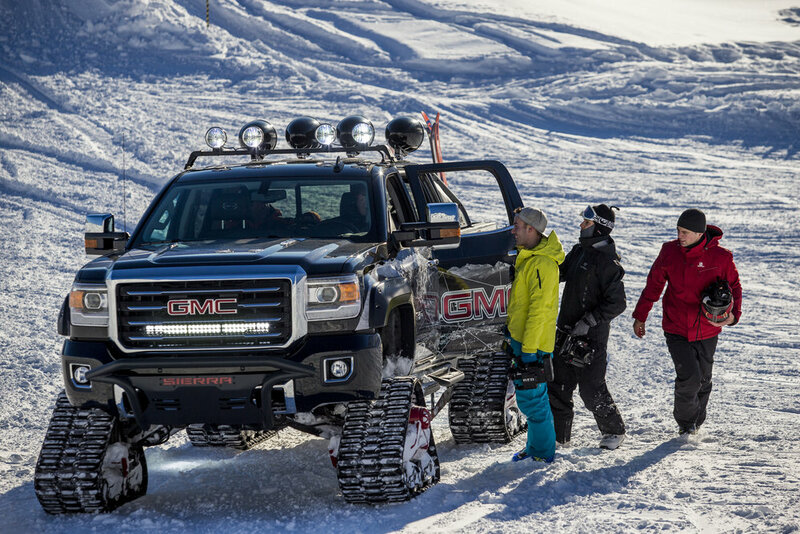 Leverage the GMC and Whistler Blackcomb partnership by creating a video that showcases the power and capability of the GMC All Mountain. Must integrate brand values and themes including powerful, capable, and the disciplined achiever. Our challenge was to bring a powerful and capable tone to this piece while keeping the more refined GMC brand feel. We used dynamic aerials to enhance apparent speed and power of truck. We graded with a lean to purple and peach tones to add a mountain dream style while keeping the hero truck prominent and clean black to accentuate it’s boldness. 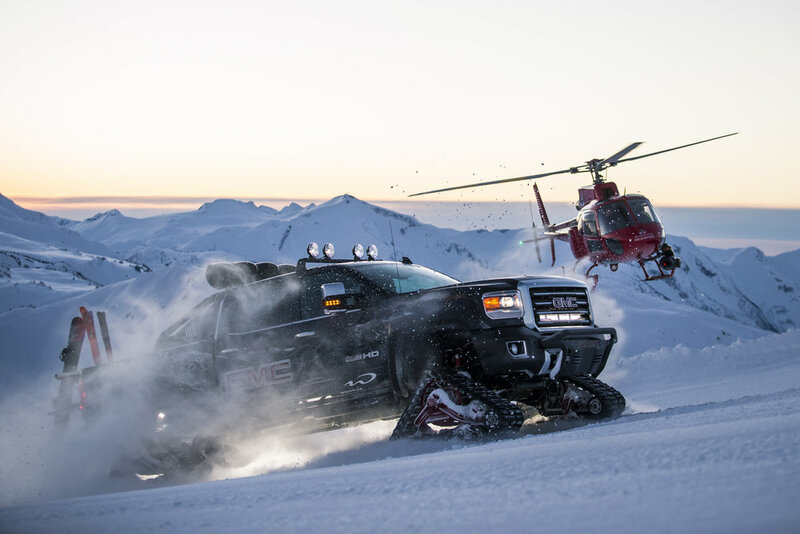 We cut to classical music and integrated our helicopter to create a playful personality with the truck while showcasing the refined nature of GMC. Powerful sound design was crucial to add to the feel of the truck. 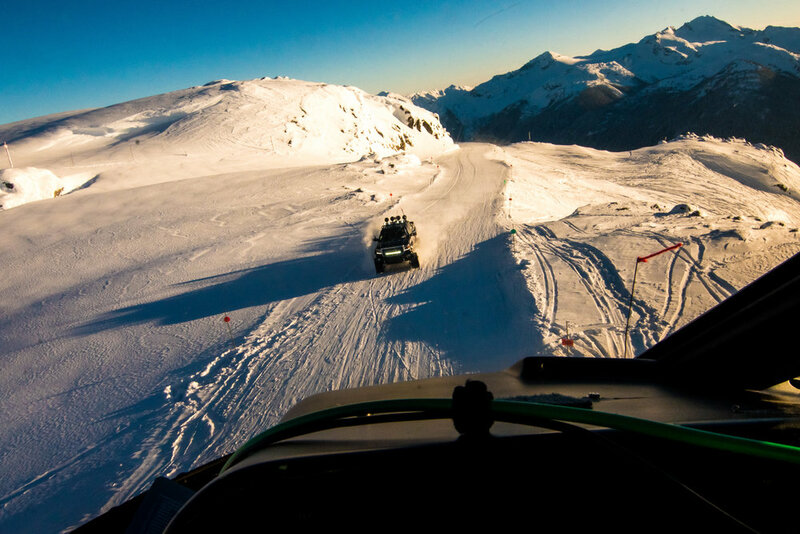 Filming at 5000' ASL can provide some production challenges. 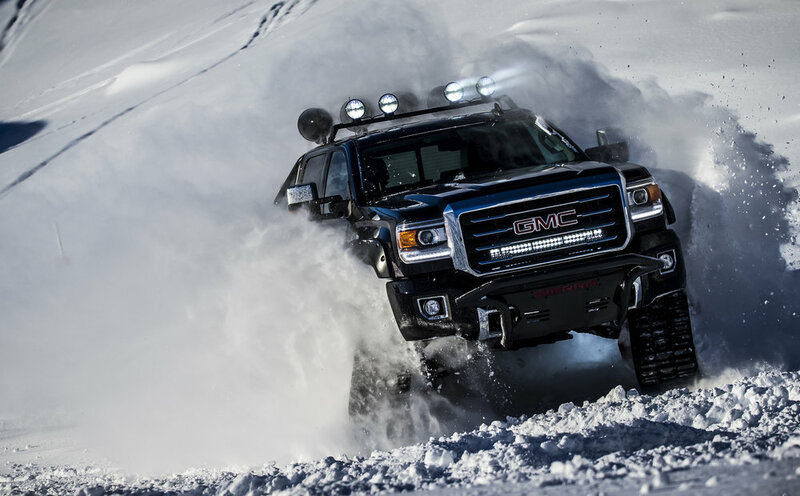 We had to consider the environment including weather, snow pack for truck drivability, and equipment breakage. We quickly nixed the idea of a drone right off the get go because we needed quality, speed, and efficiency. Instead we used the Shotover system with a RED Weapon. 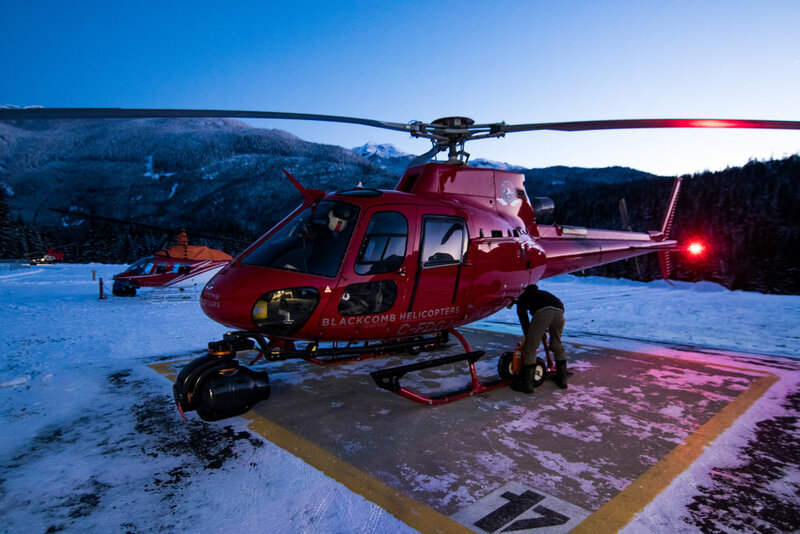 It had the quality we needed, the helicopter provided the speed, and most importantly we could keep our entire set moving over the entire mountain. We cut and finished in house allowing for a streamlined workflow with Momentum and GMC for quick delivery.